Charles B. Williams, The New Testament: A Translation in the Language of the People. Boston: Bruce Humphries Inc., 1937. Slightly revised in 1950 (Chicago: Moody Press). 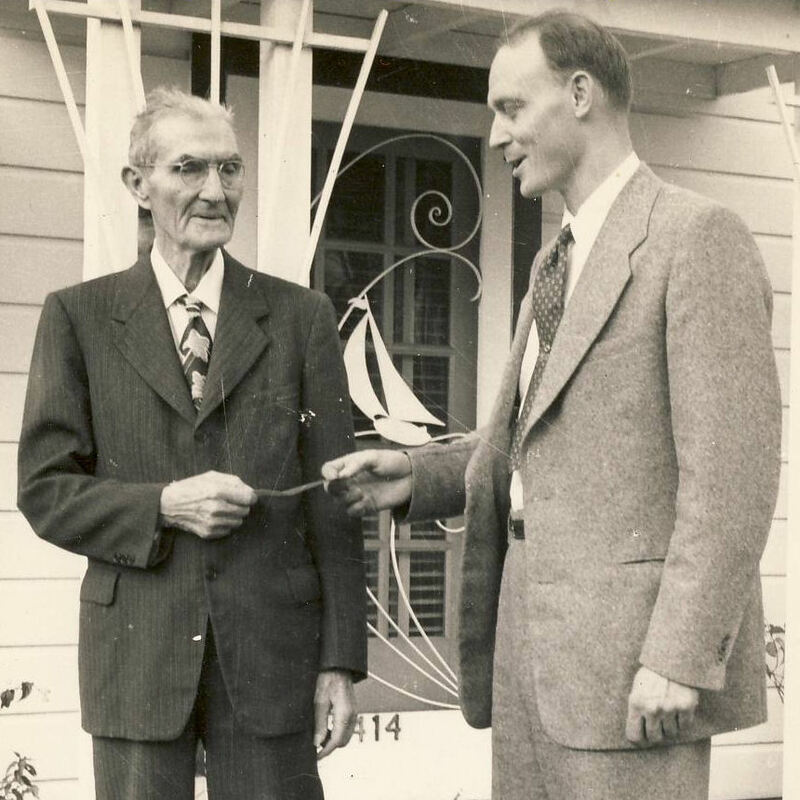 Charles Bray Williams (1869-1952) was a Southern Baptist, born and raised in North Carolina. He earned the B.D. degree at Crozer Theological Seminary in Chester, Penn., in 1900, the M.A. from the University of Chicago 1907, and the Ph.D. in Greek from the same institution in 1908. From 1905 to 1919 he was Professor of Greek and New Testament Interpretation at Southwestern Baptist Theological Seminary in Fort Worth, Texas. From 1919 to 1921 he was President of Howard College (now Samford University) in Birmingham, Alabama. 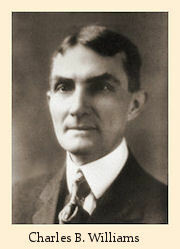 From 1921 to 1925 he served as as chair of New Testament Interpretation at Mercer University in Macon, Georgia. From 1925 to 1939 he was Professor of Greek and Ethics at Union University in Jackson, Tennessee. Throughout his teaching career, he also served as Pastor for Baptist churches in the cities where he resided. His translation of the New Testament “in the Language of the People” was done during his years at Union University, and was published in 1937. The text was presented in paragraphs, with many footnotes (about 20 per chapter). It is divided into the usual chapters, but it lacks the verse numbers. At the beginning of each chapter there is a summary of the contents. We give a sample passage from the version below. The version did not attract much attention at the time, but, being the work of a Baptist professor, it did receive attention from other Baptist professors in American seminaries. 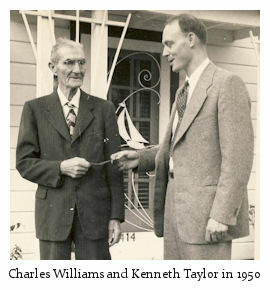 In 1948, Kenneth Taylor of Moody Press (a publisher of Baptist materials in Chicago) made arrangements with Williams to issue a reprint, in which most of the footnotes were eliminated. Between 1949 and 1965 several editions were published by Moody Press. In 1966 the Moody edition was included in a Four-Translation New Testament published by The Iversen Associates in New York, which was then reprinted by Decision magazine for distribution at Billy Graham Crusades in the early 1970’s. In 1986, another edition of Williams’ version was issued by Holman Bible Publishers. In his own Foreward Williams does not make such great claims of literal accuracy. Instead, he emphasizes the easiness and popular character of the work: “Our aim in publishing this new translation is that of Tyndale, ‘to cause the plowboy to know the Scriptures.’ Our aim is to make this greatest book in the world readable and understandable by the plain people.” Hence the name of the version: “A Translation in the Language of the People.” An examination of the version tends to confirm that this purpose was far more important to Williams than any pedantic attempt to represent the nuances of Greek verbal tenses. There are many renderings in which he is apparently trying to represent such nuances, but it is not a systematic attempt; in general the version is quite paraphrastic. We find that the Greek verbs are often rendered very loosely. The first verb to be found in the Greek New Testament is ἐγέννησεν, “begat” (Matt, 1:2 and the following verses). This verb (an aorist form) clearly expresses a one-time action in the past. Yet Williams translates it, “was the father of.” And so it is immediately obvious that he does not intend to convey the precise meaning of Greek words, much less the nuances of the tenses, where this would require the use of an expression that is not currently popular. Here the reader might wonder how the angel could have appeared to Joseph in a dream “just as this thought occurred to him.” Did Joseph decide to divorce Mary while he was sleeping? But the aorist tense of the participle does not indicate any such thing. It merely indicates that he had thought about this prior to the appearance of the angel. In his Foreword Williams says that the translation is “based on the Westcott and Hort Greek text.” He adds that “When there are conflicting variations in the Greek Manuscripts, we have generally followed the Vatican Manuscript.” Apparently Williams is saying that he sometimes follows Vaticanus where Westcott and Hort have not, and we see an instance of this in Matt. 1:18, where the translation reads “Christ Jesus” instead of “Jesus Christ.” But in general he does adhere to the text of Westcott and Hort. In John 1:18 he translates their reading μονογενης θεος as “the only Son, Deity Himself,” and in a note he informs the reader that he is following “WH and ancient Mss”; but the note does not mention that a literal translation of μονογενης θεος would be “only-begotten God,” or that other ancient manuscripts and versions read here μονογενης υιος, “only-begotten Son.” The Story of the Adulteress that is found in medieval manuscripts of the Gospel of John is entirely omitted. This translation will be helpful to Bible students if it is used in conjunction with other more literal versions; but it is too often paraphrastic, and its treatment of the Greek tenses is too uneven, for it to serve as a reliable basis of careful study. For those who do not know Greek, but want an English edition that shows the tenses of the verbs in the Greek New Testament, I recommend the Newberry Bible published by Hodder and Stoughton in 1890, 2 and reprinted by Kregel Publications in 1973. It is an edition of the King James Version which indicates, by the use of symbols, the tenses of all the verbs and participles of the original text. The Newberry Bible is much to be preferred over Williams’ version as a reliable guide to such matters. 1. F.F. Bruce, History of the Bible in English (New York: Oxford Univ. Press, 1978), pp. 180-1. 2. Thomas Newberry, ed., The Holy Bible; arranged so as to give as far as possible the accuracy, precision and certainty of the original Hebrew and Greek scriptures on the page of the Authorized version, by means of simple and appropriate signs, and with the divine titles distinguished and explained (London: Hodder and Stoughton, 1890). The edition is now online at the Internet Archive. Our aim in publishing this new translation is that of Tyndale, “to cause the plowboy to know the Scriptures.” Our aim is to make this greatest book in the world readable and understandable by the plain people. Only three books in the New Testament are written in anything like good literary Greek—Luke, the Acts, and Hebrews. In our translation of these books we have tried to use good, smooth English. Elsewhere we use simple every-day English which reproduces the every-day Greek which the writers used. In accord with this aim we have used practical every-day words to replace many technical religious and theological terms. In other words, we have tried to use the words and phrases that are understandable by the farmer and the fisherman, by the carpenter and the cowboy, by the cobbler and the cab-driver, by the merchant and the miner, by the milkmaid and the house-mistress, by the woodcutter and the trucker. If these can understand it, it is certain that the scholar, the teacher, the minister, the lawyer, the doctor, and all others, can. This is not a word-for-word translation, like an interlinear. It is rather a translation of the thought of the writers with a reproduction of their diction and style. Greek idioms are not brought over into our translation, but are expressed in corresponding English idioms which express the same thoughts as the Greek idioms. It is the thoughts of our New Testament, not its single words, that we have tried to translate. Our translation is based on the Westcott and Hort Greek text, recognized as the authoritative text throughout the English speaking world. When there are conflicting variations in the Greek Manuscripts, we have generally followed the Vatican Manuscript, which is the oldest and usually conceded the best. To introduce the readers to each book we have inserted at the beginning of each a brief statement as to who wrote it, why, and for what purpose. At the close of the translation are added suggestive notes to explain difficult passages and to make clearer many historical, social, and religious references. May the face of the Christ, who is the theme of this book and the light of the world, shine into the heart and upon the life of everyone who reads it! Here we reproduce the third chapter of the Gospel according to John in Williams’ version, with its footnotes, as it was printed in the original edition of 1937. Jesus answered him, “Are you the teacher of Israel and do not know this? I most solemnly say to you, we know what we are talking about and we have seen what we are testifying to, yet you are all 4 rejecting our testimony. If you do not believe the earthly 5 things I tell you, how can you believe the heavenly things, if I tell you about them? And yet no one has gone up into heaven except the Son of Man who came down out of heaven. 6 And just as Moses in the desert lifted the serpent on the pole, 7 the Son of Man must be lifted up, 8 so that everyone who trusts in Him may have eternal life. He who comes from above is far above all others. He who springs from earth belongs to the earth and speaks of earth. He who comes from heaven is far above all others. He continues to bear testimony to what He has actually seen and heard, and yet no one accepts His testimony. Whoever does accept His testimony has certified 17 with a seal that God is true. For He whom God has sent continues to speak the words of God, for God continues to give Him the Spirit without measure. The Father loves His Son and has put everything in His hands. Whoever trusts in the Son possesses eternal life, but whoever refuses to trust 18 in the Son will not see life, but the wrath of God continues to remain on him. 1. Water the symbol, the Spirit the agent, of renewal. 3. I.e., as mysterious as the wind’s blowing. 5. Necessity of new birth. 6. Only Jesus can reveal them. 9. Only begotten in Grk. 11. Grk., this is the judment. 14. Grk., before Him, to introduce Him. 15. Grk., on account of his voice. 17. Lit., sealed; certified with a seal. 18. Grk., is without trust, does not trust.